NICE has recommended Amgen’s multiple myeloma treatment Kyprolis, a next generation drug which has shown itself superior to Janssen’s standard treatment Velcade. As is now virtually standard, the drug was approved with a patient access scheme, the confidential discounting scheme operating by NICE. 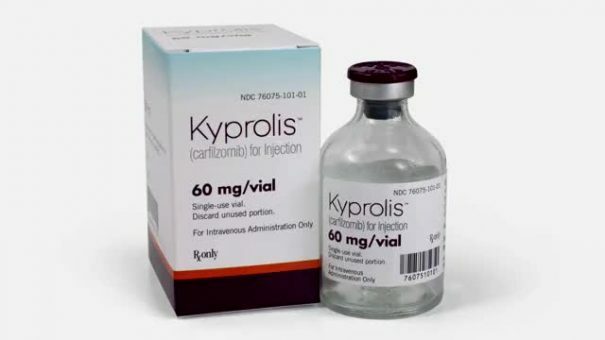 This means Kyprolis (carfilzomib) in combination with dexamethasone is now recommended by NICE as an option for treating adults with relapsed multiple myeloma (RMM) who have received one prior therapy that does not include Velcade (bortezomib). Kyprolis is in the same proteasome inhibitor class as Velcade, but its next-generation status has shown it to extend progression free survival (PFS) and overall survival (OS) and not have the same neuropathic adverse reactions seen in the older drug. The NICE approval puts it ahead of a rival next-gen proteasome inhibitor, Takeda’s Ninlaro (ixazomib), which looks set for rejection in another setting, combination with Celgene’s Revlimid. 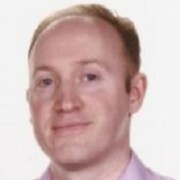 “Clinical trial data have proven that, in combination with dexamethasone, carfilzomib is superior to bortezomib, having doubled progression-free survival and significantly improved overall survival for patients who have relapsed,” said Professor Graham Jackson, Consultant Haematologist, Freeman Hospital, Newcastle. Tony Patrikios, executive medical director at Amgen UK and Ireland said the company had worked with NICE to submit the best data package, and was pleased with the outcome. “With proven evidence to prolong progression-free survival, we see carfilzomib as backbone therapy for the management of relapsed multiple myeloma,” he said. The key evidence to support the recommendation was a large phase 3 randomised study, ENDEAVOR, which included 929 patients. This is the first ever head-to-head trial comparing two proteasome inhibitors, and showed that adults treated with carfilzomib plus dexamethasone achieved double the PFS compared to those receiving Velcade plus dexamethasone, the current standard of care (18.7 months vs. 9.4 months). A planned interim analysis of overall survival (OS) showed the combination reduced the risk of death by 21% compared to Velcade and dexamethasone (Vd), resulting in a 7.6 month improvement in survival benefit (median OS 47.6 months versus 40.0). These benefits were also observed in the subgroup considered by NICE, in patients who have received one prior therapy and no prior Velcade treatment. Combination treatment is becoming increasingly common in myeloma, including combinations with another standard treatment, Celgene’s Revlimid. Another phase 3 randomised study, ASPIRE, has shown that Kyprolis with Revlimid (lenalidomide) and dexamethasone was effective at prolonging progression-free survival, compared with lenalidomide and dexamethasone (Rd) alone in patients with relapsed multiple myeloma (26.3 months vs 17.6).